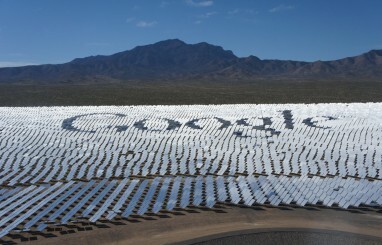 Google is not alone in its drive to power a global corporation using renewable energy. More than 80 of the world’s leading companies have made a commitment to go 100% renewable. Facebook, Microsoft, IKEA and Nestle are among 83 RE100 partners aiming to eliminate any reliance on energy produced from fossil fuels. According to the International Energy Agency (IEA), 2015 was the year when renewables overtook coal to become the largest source of global energy capacity. „In the next five years 30, 000 solar panels will be installed every hour. And wind turbines will go up at a rate of 2.5 every hour. Within 5 years 60 % of the world’s energy supply will come from renewables” - said Google’s Senior Vice President for Technical Infrastructure.